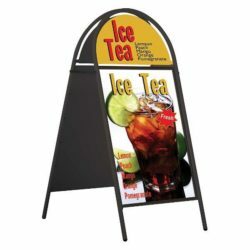 This A Frame sign which can be used in malls, cafes and restaurants. 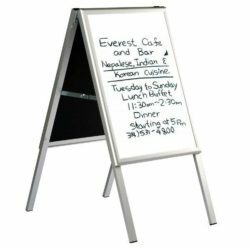 Write on a board is designed for indoor and outdoor use. 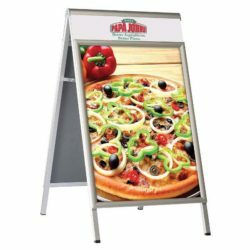 This stable and robust stand of A frame sign creates an effective advertisement area. 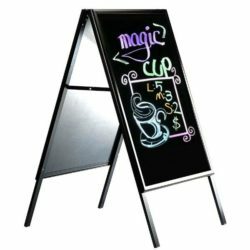 A Frame sign is also known as write on A board. You can easily set up this write on A board, not tool required. Please dont forget to order pens in sets. The viewable area of the sidewalk sign is 22″ x 28″ and its background color is black. 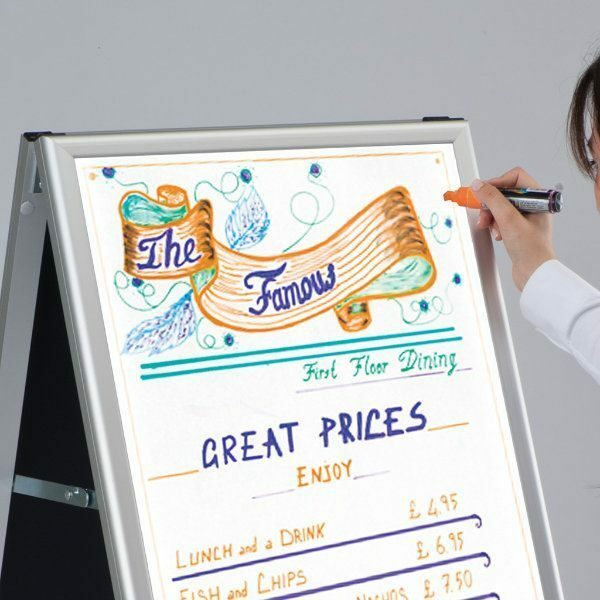 The frame material of this write on A board is made of aluminum. This pavement sign has long life in use. 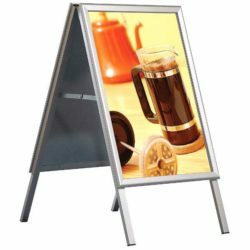 A frame sign is rigid and weatherproof. 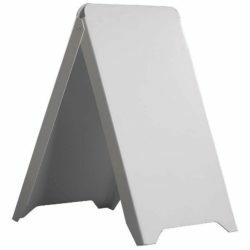 These sidewalk signs are used to advertise a sale or special promotion outside stores and many commercial sites.There are two hinges on each side of the aluminum portable A-frame sign and yet becomes a double sided folding A-Frame. 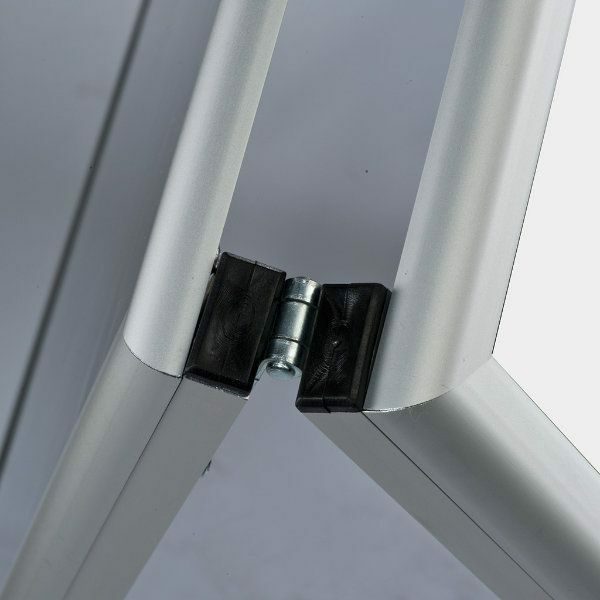 Well quality and useful. Not too heavy, easy to carrying in or out the door.